View More In Fuse Holders. High Performance Fuse Holder. LED Voltage Display with fuse protecting your car's audio system. This Inline ANL Fuse Holder will take 0, 2 and 4 Gauge Wire. Cuts off the power automatically when the current is too strong. 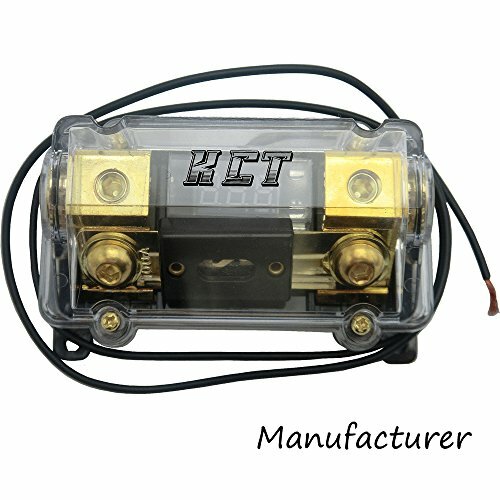 Can be used for car auto audio amplifier or other electrical equipment. Suitable for car, boat or other vehicles use. Voltage: 12V-24V, Current Capability: 100A. If you have any questions about this product by NINGBO KCT, contact us by completing and submitting the form below. If you are looking for a specif part number, please include it with your message.